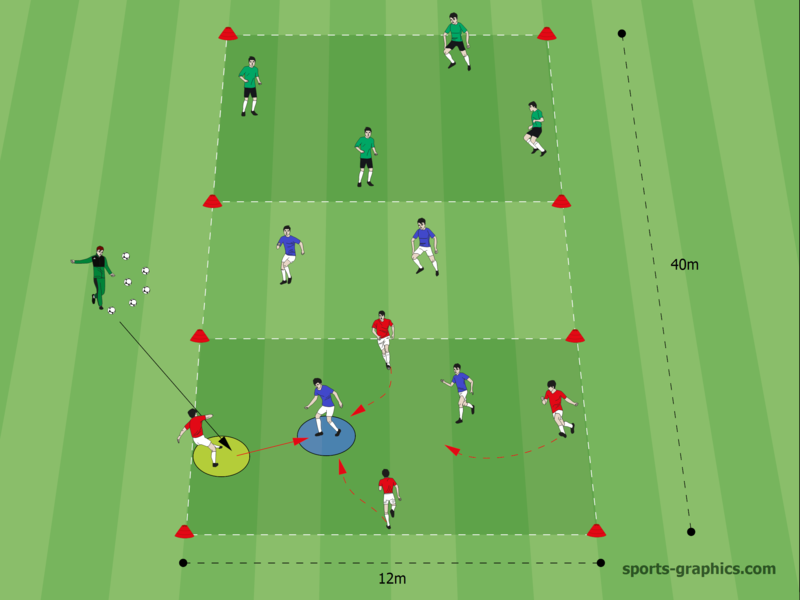 Organization: Three teams of each four players are divided into three fields. The coach plays a pass into one of the outer fields. With this pass, two blue players start into the corresponding field to gain possession of the ball. Red tries to play four successive passes in order to shift the play into the other field to Green. If Red loses the ball, the aim of Blue is to pass the ball to Green. 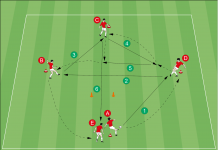 In this case, Red will transition to the defending team. Red is allowed to regain possession. 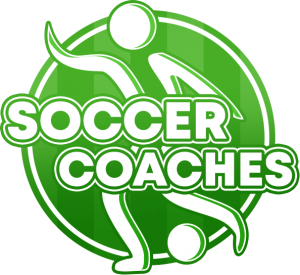 Coaching Points: After a lost ball, the outer team is supposed to directly pressure on the ball and utilize the numerical advantage in order to regain possession of the ball. 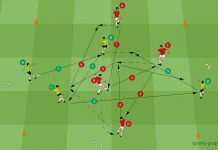 Variation: After a regain of the central team, they first need to save the ball for three seconds before being allowed to change fields. 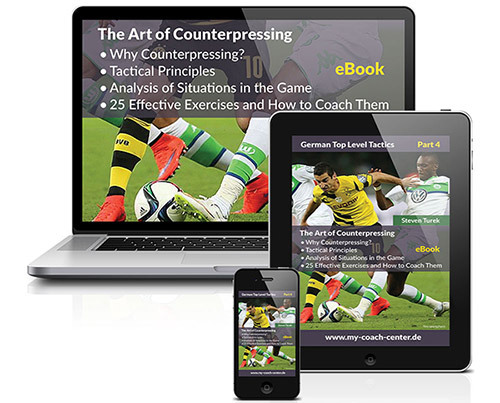 This counterpressing drill has been taken from Steven Tureks eBook “THE ART OF COUNTERPRESSING“. 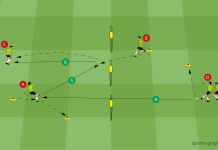 To get more information, variations, coching points and further drills, check out the complete book in our webshop!